Lately we’ve been finding that many of our clients have been using Dropbox for their files (which we love), but the free account only comes with 5 GB of space, and everyone seems to be reaching their limit. Dropbox has some great picture and music syncing apps, so 5 GB can go fast. 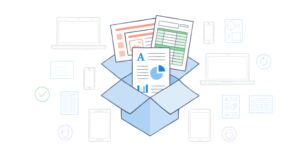 You may not have known that Dropbox has an offering that gives you as much space as you need so you can keep syncing and backing up all your data securely, as well as access your data from any device. If you are interested in having as much space as you need, we can offer you the first 3 months free when you upgrade. Let us know if you would like to try it out, or if we can fill you in on other useful Dropbox features. Give us a call at 970.373.5428.